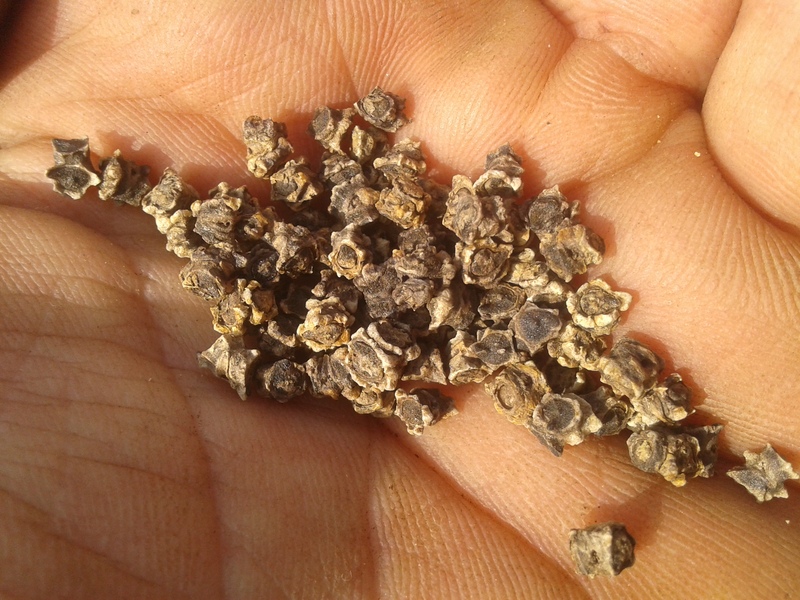 The organic seed sector will be getting a boost through a comprehensive project that includes seed production, business, and market supports. 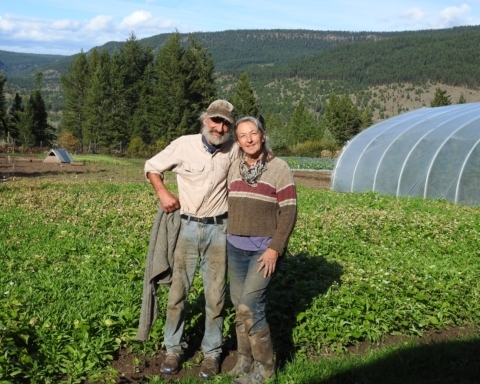 FarmFolk CityFolk, which has been working to cultivate local, sustainable food systems since 1993, will be leading the project with funding provided from the Governments of Canada and B.C. through the Canadian Agriculture Partnership. The five year, $3 billion Canadian Agricultural Partnership launched on April 1, 2018, and includes $2 billion in cost-shared strategic initiatives delivered by the provinces and territories, plus $1 billion for federal programs and services. 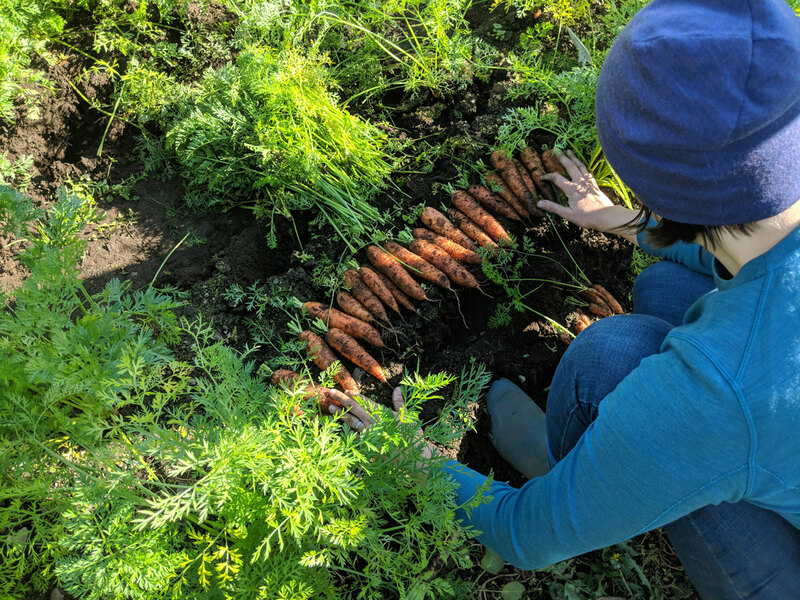 This project builds off of FarmFolk CityFolk’s previous work with the Bauta Family Initiative on Canadian Seed Security, as well as Dan Jason’s Seed Resiliency report commissioned by the Ministry of Agriculture this past winter. Jason’s report included an inventory of seed assets in the province as well as recommendations for increasing seed resiliency in BC. British Columbia has the greatest diversity of crops and growing conditions of any province or territory in Canada. This provides a great opportunity to work with a wide range of ecosystems to create regionally tested and locally adapted seeds that support our local foodsheds in uncertain climates and that can also thrive in diverse climates around the world. 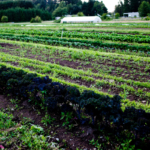 Seed production provides BC organic farmers with an opportunity to diversify their farm production and increase revenue. The market for certified organic seed is expected to continue to grow in the coming decades as the consumer demand for organic products increases and certifiers are adopting stricter enforcement around purchasing certified organic seed when available. 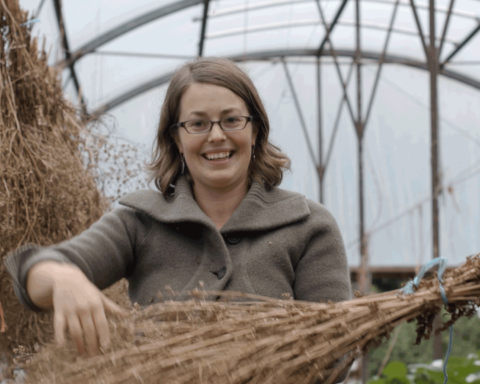 FarmFolk CityFolk will be collaborating with other organizations in BC focused on seed, such as the UBC Farm Seed Hub, KPU’s new lab for seed testing and cleaning (a major new asset for the province), and the BC Eco Seed Co-op. 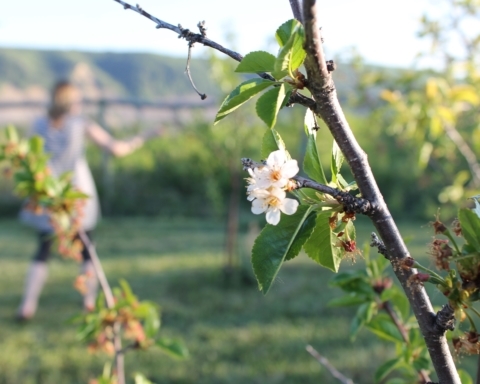 The strengths of these organizations, combined with the incredible passion and energy of local seed savers, farmers, and growers, will go a long way in supporting the development B.C.’s organic seed sector, the base of resilient communities and thriving food systems. 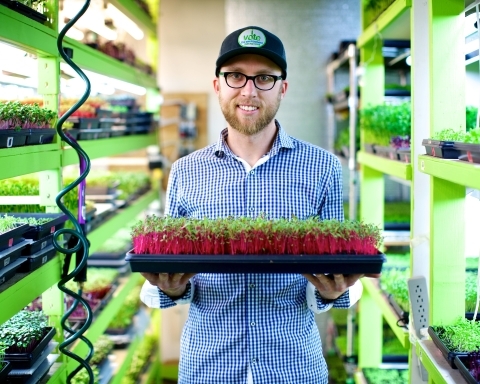 We asked farmers transitioning to organic for burning questions they’ve been dying to ask. From paperwork to fence posts, standards junkie Rochelle Eisen has the answers they — and you — have been seeking! Q: How much detail does my record keeping require for the inspector (crop seeding, planting, rotations, dates, etc…)? A: The more detail the better as the inspector will try to establish if you had enough seed/transplants for the amount of the crop produced. Also, rotation plans, green manure seeding dates, and input use records are necessary to establish if good organic ag practices are in place. Sales records, crop seeding dates, and harvest dates are helpful with yield estimations, especially if plantings are staggered. Such detailed records help you to become a better farmer, as you have the necessary details at your ngertips to help you plan and identify your successes. Q: If I need advice with paperwork can I ask my inspector? A: Verification officers (VOs) cannot assist with paperwork except to explain the requirement/standard, as it would be considered consulting and giving you an advantage over other operators. Some certifiers offer workshops and others have someone who can answer your questions. Otherwise, provincial specialists are sometimes helpful. In the end it might be best to hire a consultant. Certifiers sometimes keep list of available consultants. Q: Do I have to use all certified organic seed (and what if there is no organic option)? A: Yes, organic seed is required. When you can’t find the variety you are looking for in the quantity and quality you need, you can use non-organic untreated seed. BUT (there always has to be a but, n’est ce pas?) you can’t play that card year in, year out for the same variety. Most certifiers will expect to you to explain what your plan is to help develop an organic source over the coming years, and this question will be asked annually. 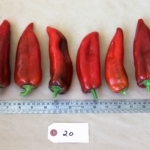 And just to round out this answer… as the most logical next question is “what does a commercial availability seed search look like?’ The answer is, most certifiers expect growers to contact three credible organic sources to establish the lack of supply. Such searches are to be repeated annually. Q: Can I use saved seed, such as the garlic I saved from last year’s harvest? A: Assuming the operation is organic or even in transition, the answer is an emphatic yes, as the seed was raised organically. This has to be tempered by the question: is it wise? It all depends on if you have clean and true to type seed. For example, garlic is one of those crops prone to seed borne diseases such as white rot. Saving your own seed if there is any level of infection may be your own undoing. Q: I have had much discussion with other farmers, certified organic and those considering certification alike, about use and re-use of treated posts. Is a treated post that is already on your farm allowed to stay on your farm only if it remains in place, or is it acceptable to move and reuse posts within the farm as we change or rebuild fencing? A: Good news—existing inventories can be used anywhere within your farm (see subclause 5.2.3 b of CAN/ CGSB-32.310). Be sure your certifier is aware of this existing inventory so there are no surprises when the VO does their site visit, or when your certifier reviews your Organic Plan and the VO report. 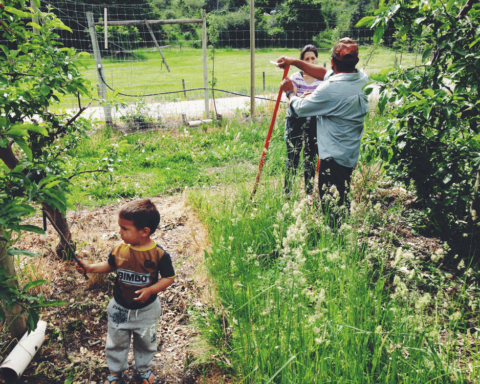 Q: What’s the difference between green manure, manure and compost? A: Manure is animal waste. Green manures are plough down cover crops grown purposefully to build soil health. Compost can be made from animal or plant material and any combination thereof. Refer to the ‘compost’ definition (3.15 in CAN/CGSB 32.310) and the ‘compost feedstocks’, ‘compost from off-farm sources’ and the ‘compost produced on the farm’ listings in PSL Table 4.2 for complete details. Manure management requirements are outlined in 5.5 of CAN/CGSB 32.310. Q: What’s the amount of time required between com- post application and harvest? A: From a standards perspective, compost can be applied any time of the year, but compost containing animal waste or other risky feedstock that may contain human pathogens has to be effectively composted first. Otherwise, the material must be applied to the land 90 days before harvest when the crop doesn’t touch the soil. That would be the case with tree and cane fruits. 120 days is required pre harvest for any crops that commonly touch the soil (potatoes, lettuce, strawberries, etc…). Think about it this way—120 days is required unless the crop is obviously off the ground. Q: What is required for mulching materials? A: Plant materials from organic sources must be used as mulch but if organic sources are not available, then crop materials, such as straw and hay, that haven’t been treated with any prohibited substances for at least 60 days pre-harvest can be used as mulching material. 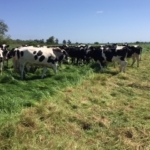 A: Dairy herds and individual herd animals can be transitioned, but it takes 12 months of organic management before the milk collected can qualify as organic. None of the animals transitioned can ever qualify as organic meat animals. To qualify as organic meat, animals must have been born by an organic dam or the transitioning dam must be under organic management by the onset of the third gestation period. Q: What’s the most appropriate way to label my transitional organic products? A: Transitioning farms or “farms in conversion to organic” selling all their products within BC may identify their products as “transitional” or “in conversion to organics” or other similar language on all marketing materials including websites signs and labels. But they cannot refer to their operation or transitional products as “organic”, “organically grown”, “organically raised”, or “organically produced”. For products being shipped out of province the only acceptable phrases are “in transition” or “ transitional” or “in conversion”. The word “organic” cannot be included in any of these claims. Q: What type of signage may farms in transition use? A: A farming operation in transition or conversion is not “organic” and must not mislead consumers with false organic claims. For example, a transitioning farm, certified by a COABC regional CB, may not call itself “Joe’s Organic farm” or use the word “organic” “organically grown”, “organically raised”, “organically produced” or similar words, including abbreviations of, symbols for and phonetic renderings of those words, in any signage. 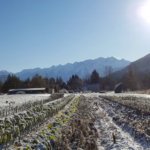 The British Columbia Certified Organic Program allows “in transition/conversion to organic” claims on signs, labels, and other marketing tools to be used by transitioning operations. However, for operations shipping out of the province, this phrasing is not acceptable to the Canadian Organic Regime. Transitioning operations may not use either the provincial or national organic logos. Check with your CB if they have a transitional logo you can use. Q: How should I market transitional organic products? A: Label your products as transitional or in conversion and be sure to tell your story/journey to your customers. Some of the distributors, especially those who specialize in organics, may also be interested in your product if it fills a gap. Don’t hesitate to approach. For more Organic Standards FAQs, visit COABC’s Grow Organic Toolkit. Rochelle Eisen is a standards junkie who has been working in organics for close to 30 years, as well as with other certification systems. Like Einstein, she believes “What is right is not always popular and what is popular is not always right” and that assurance programs are a means to level the ecological playing field.